Twin brothers Mike, left, and Doug Starn, stand inside their "Big Bambu" structure in the Metropolitan Museum of Art's roof garden during a press preview, in New York, Monday, April 26, 2010. The artwork, measuring 100 feet long, 50 feet wide, and 50 feet high, comprises a complex network of 5,000 interlocking 30- and 40-foot-long bamboo poles, lashed together with 50 miles of nylon rope and incorporating an internal elevated pathway system. AP Photo/Richard Drew. NEW YORK, NY.- The Metropolitan Museums concurrent presentation of three acclaimed and widely attended special exhibitions over the summer 2010 seasonPicasso in The Metropolitan Museum of Art, Doug + Mike Starn on the Roof: Big Bambú, and American Woman: Fashioning a National Identitygenerated $784 million in economic activity by regional, national, and international tourists to New York, according to a visitor survey the Museum released today. Using the industry standard for calculating tax revenue impact, the study noted that the direct tax benefit to the City and State from out-of-town visitors to the Museum totaled some $78.4 million. Commented Emily K. Rafferty, President of the Museum: The data in this latest of a series of economic impact studies demonstrates again that the Metropolitan more than repays the investments that our public sector makes in this institution. We remain proud that so many of our out-of-town visitors continue to respond to the Met as the citys leading attraction, and that our exhibitions help to stimulate so much tourism to New York. Ms. Rafferty serves also as Chairman of NYC & Company, the citys official tourism agency. Picasso in The Metropolitan Museum of Art, on view from April 27 through August 15, 2010, drew 703,256 visitors. 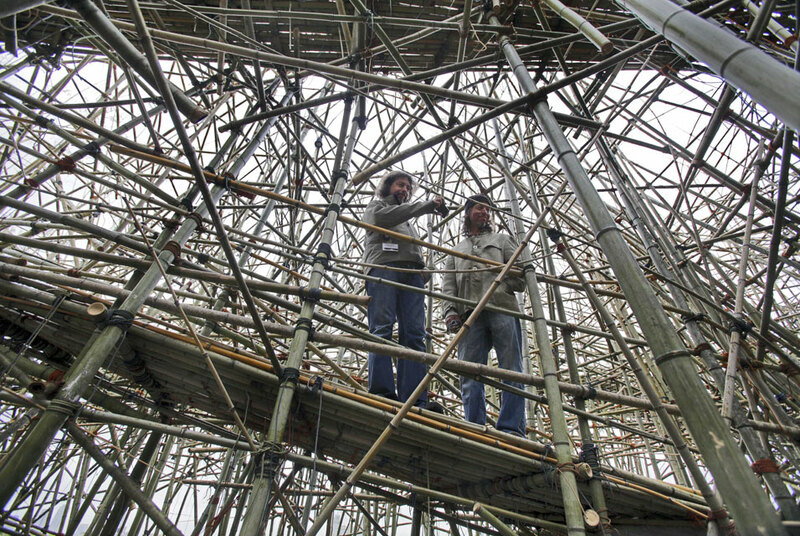 Doug + Mike Starn on the Roof: Big Bambú, shown from April 27 through October 31, 2010, attracted 631,064. American Woman: Fashioning a National Identity, on view from May 5 through August 15, 2010, drew 335,759 visitors. The survey found that 72% of the Mets summer visitors traveled from outside the five boroughs of New York. Of these, 20% were from the Tri-State area, 34% were from other states, and 46% were international visitors. Seventy-nine percent of travelers reported staying overnight in the City, and 72% of these visitors stayed in a hotel or motel. The median length of stay in the City was five nights. These visitors reported spending an average $1,050 per person ($696 for lodging, dining, sightseeing, entertainment, and admission to museums, and another $354 for shopping) during their stay in New York. Forty-seven percent of travelers cited visiting the Met as a key motivating factor in visiting New York. Of travelers, 44% made their first visit to the Museum, and another 26% made their first visit in several years. The economic development impact on the City does not directly benefit the Museum, which maintains a policy of welcoming visitors to special exhibitions without imposing extra fees. All exhibitions are free with the Museums recommended admission. The survey of visitors to Picasso in The Metropolitan Museum of Art, Doug + Mike Starn on the Roof: Big Bambú, and American Woman: Fashioning a National Identity is the most recent of a series of audience studies undertaken by the Metropolitan to calculate the public economic impact of its special exhibition program. In 2007, the Museum found that the concurrent showing of Cézanne to Picasso: Ambroise Vollard, Patron of the Avant-Garde and Americans in Paris, 1860-1900 had generated $377 million in economic impact; in 2004, its El Greco retrospective had generated $345 million in economic impact, and in 2000 reported that visitors to Egyptian Art in the Age of the Pyramids had generated some $307 million. A 1997 assessment estimated the economic impact of its exhibition The Glory of Byzantium at $184 million. Using a scale of 1 to 10 to determine how important seeing one or more of the three exhibitions was in their decision to visit New York City, 28% of visitors surveyed in the study gave a rating of 8 or higher. Forty-seven percent gave a rating of 8 or higher to visiting the Metropolitan Museum in general. The economic impact is estimated to be $220 million for just those individuals who indicated that seeing the exhibitions was important in their decision to visit New York City and $368 million for those who wanted to see the Museum in general, yielding tax benefits of $22 and $36.8 million respectively. The landmark exhibition Picasso in The Metropolitan Museum of Art was the Museums first to focus exclusively on the remarkable array of works by Pablo Picasso in its collection. The presentation revealed the Museums complete holdings of the artists paintings, drawings, sculptures, and ceramicsnever before seen in their entiretyas well as a significant number of his prints. The exhibition was the seventh most highly attended exhibition since the Museum first began tracking exhibition attendance nearly 50 years ago. Visitors to the site-specific installation Doug + Mike Starn on the Roof: Big Bambú witnessed the creation and evolving incarnations of a monumental bamboo structure in the form of a cresting wave as it was constructed throughout the spring, summer, and fall by the artists and a team of rock climbers. The workwhich bridged the realms of sculpture, architecture, and performancewas the 13th consecutive single-artist installation for The Iris and B. Gerald Cantor Roof Garden. American Woman: Fashioning a National Identitythe first exhibition drawn from the newly established Brooklyn Museum Costume Collection at the Metexplored developing perceptions of the modern American woman from the 1890s to the 1940s, and how they have affected the way American women are seen today. A survey of visitors to three summer special exhibitions at The Metropolitan Museum of Art demonstrates that visitor spending by individuals from out of town generated $784 million of economic activity and provided an estimated direct tax benefit to New York City and State of $78.4 million. 618 visitors were surveyed over two weeks in May and July, 2010, when three special exhibitionsPicasso in The Metropolitan Museum of Art, Doug + Mike Starn on the Roof: Big Bambú, and American Woman: Fashioning a National Identitywere on view. * 703,256 people saw Picasso in The Metropolitan Museum of Art; 631,064 visited Doug + Mike Starn on the Roof: Big Bambú; and 335,759 attended American Woman: Fashioning a National Identity. * The vast majority of The Mets visitors are from out of town. Almost three-quarters (72%) of visitors surveyed were from outside the five boroughs of New York City. * Of the out-of-town visitors, 20% were from the Tri-State area, 34% from other states, and 46% were international. International visitors on average spend more and stay longer than domestic visitors. * More than three-quarters (79%) of the out-of-town visitors stayed overnight in the City, and the median length of stay was 5 nights. Almost three-quarters (72%) of these stayed in a hotel. * Out-of-town visitors reported spending on average $696 on expenses and another $354 on shopping during their visit to New York, yielding an estimated $784 million in spending by visitors to the exhibitions. Using an estimate of a 10% tax rate on spending (combining sales and hotel taxes), the tax benefit for New York City and State would be roughly $78.4 million. * During their stay in NYC, visitors participated in many other cultural activities: 73% visited museums, 46% saw a Broadway show, and 16% attended an opera, ballet, or concert. * 47% of the out-of-town visitors reported that their visit to the Met was a determining factor in their decision to visit New York. Out-of-town visitors were asked how important seeing the Picasso in The Metropolitan Museum of Art, Doug + Mike Starn on the Roof: Big Bambú, and American Woman: Fashioning a National Identity exhibitions, and visiting the Met in general, were to their decision to visit New York City. Using a 1 (not at all important) to 10 (very important) scale, 28% of visitors gave a rating of 8 or above with regard to the exhibitions, and 47% gave a rating of 8 or above to visiting the Met in general. * Using just those individuals who said the exhibitions or the Museum were highly important in their visiting decision, the visitor spending estimate would be $220 million (for the exhibitions) or $368 million (for the Museum in general). These figures would yield tax benefit estimates of $22 million and $36.8 million respectively. * Of travelers, 44% made their first visit to the Museum, and an additional 26% made their first visit in several years. * The median age for visitors surveyed was 48, with 39% over 55. As is typical for the Met, visitors are highly educated, with more than half (53%) holding a masters degree or higher. Met visitors also have high incomes; the median reported income was $79,000 and 37% had income over $100,000. The latest economic development survey was conducted by the Office of Market Research, Visitor Services Department.